The Abuja division of the Federal a High Court has granted a mandamus application seeking to compel the Attorney General of the Federation, Abubakar Malami and the Inspector-General of Police, Abubakar Idris to arrest and prosecute Senator Andy Ubah over allegation of certificate forgery. An Order of mandamus is an application asking the court to compel certain officials to act on important issues within their jurisdiction. Justice Binta Nyako granted the exparte application before the court filed by a civil‎ society organisation, Anti-Corruption and integrity Forum, through their lawyer, Amobi Nzelu. The Anti-Corruption and integrity Forum in suit number FHC/ABJ/CS/175/2018 is praying the court to commence criminal proceedings against senator Ubah for the offence of certificate forgery. I‎n the order signed by Justice Nyako and dated March 8, 2018, the court said, "That leave is granted to the applicant. To apply for the issuance of an order of mandamus compelling the1st respondent to arrest, investigate and commence criminal proceesinggs in respect of forgery charges involving Senator Emmanuel Nnamdi Uba a.k.a Andy Ubaupon which a letter was written. To the respondent dated 12th February, 2018 urging him to exercise his power under section 4 of the Police act and othe relevant laws. 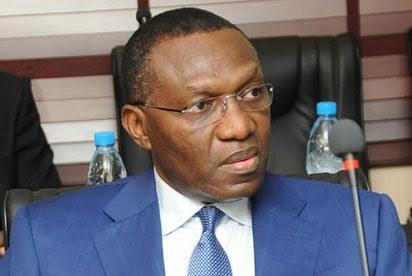 "That leave is granted to the applicant to apply for the issuance of an order of mandamus compelling the 2nd responddent‎ to arrest investigate and commence criminal proceedings in respect of forgery charges involving Senator Nnamdi Uba a.k.a Andy Uba, upon which a letter was written to the 2nd respondent dated 12th February, 2018 urging him to exercise his powers under Section 174 (1) of the 1999 Constitution of the Federal Republic of Nigeria as amended". In the order, the judge asked the plaintiff to put the defendants on notice and adjourned the the case to 26th March, 2018. In the affidavit in support of the motion on notice, deposed to, by Ikechukwu Godswill Nwaozichi, the deponent said on April 24th, 2017, the law firm of Anthony Agbolahor wrote a letter to the IGP oon behalf of Chief Victor Uwajeh‎, regarding the alleged fake West African. Examination Council Certificate of the Senator. He also said based on thee letter, the IGP directed the office of the DIG in charge of criminal Intelligence and Investigation department to investigate the matter. He said based on the directive, the office of the DIG wrotea letter to the Registrar of WAEC to confirm the authenticity of the certificate. "That the West African Examination Council responded to the said letter wherein it stated clearly that the certificate was not issued from their office.The said response from West African‎ examination Council is attached and marked exhibit D.
"That based on the said response from the Registrar of the West African Examination Council, the Deputy Inspector General of Police Criminal Intelligence and Investigation Department through the office of the Senate President, requesting senator Emmanuel Nnammdi Uba a.k.a Andy Uba to see him for interview on the 31th of August 2017. The said letter is attached and marked exhibit E.
"That the said interview never held due to the intervening circumstances arising from the letter written by the 1st respondent to the Deputy Inspector General of Police force criminal intelligence and investigating department on the matter".